Simpsons' gif - Homer "Okay, now, let's not jump to conclusions, everyone." Without user research, you won’t know what problems you’re trying to solve, what to build or if the service you create will work well for users. If a research report sits on a server and no-one reads it, does it exist? Users are not receptive to this idea. Interactive Google map to show the locations of user research participants and the type of research conducted. 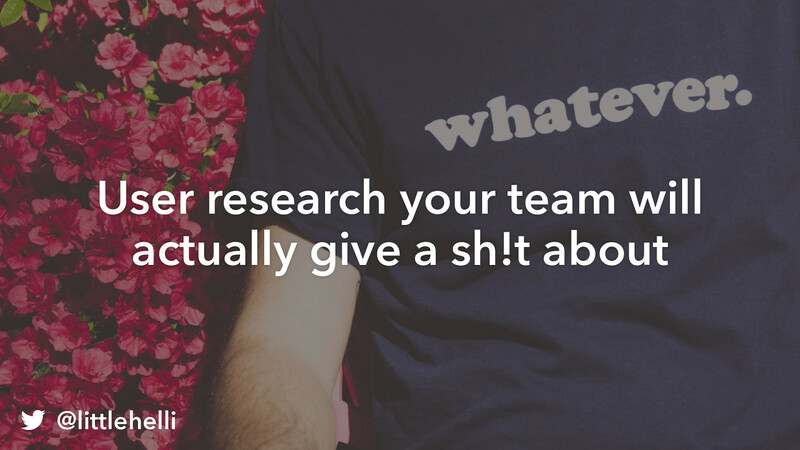 View User research your team will actually give a sh!t about on Notist. In tech we're familiar with the term ‘user’, we have user experience designers, user researchers, user stories. But what about the actual people using our products? It's easy to forget we're designing and building for real people. In this talk we look at how user research can be used to better communicate with stakeholders and teams who their users are and what they want from us. GDS blog post about how user research is a team effort. More information about the GDS (Government Digital Service) standards. More detailed information on Google Venture's How Might We exercise from Sprint. More information on the user research Trello board to record research findings. Interesting talk at #TechOnToast from @LittleHelli about making research relevant to your team. Now thinking about how to be more receptive to insights from others.